Have you ever wondered what terrorists do when they’re not beheading journalists, blowing up shopping malls, or hijacking airplanes? I suspect some of their free time is spent studying the Koran and listening to podcasts explaining the whole 72-virgins for martyrs thing. But other than that, what do they do with their time? I’ve decided that I think they play chess. Here’s why. Saturday I played chess with one of the sprouts. 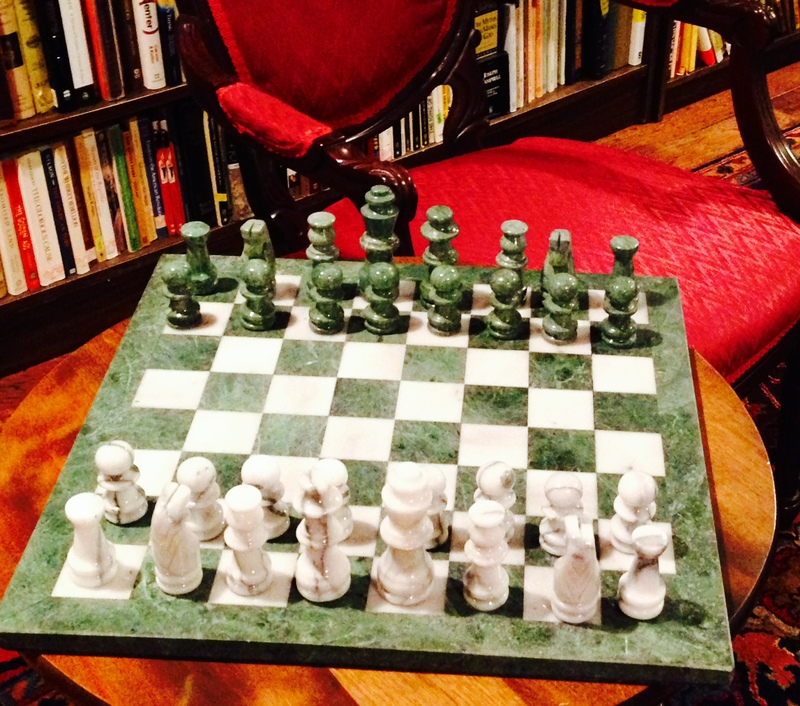 Chess is a great teacher of logic, problem solving, and strategy. She is still working on strategy. After some initial feigning moves, I sacrificed several pieces (a knight, a bishop, and two pawns) in order to get part of the board cleared out with my rooks and queen in place. My daughter was giddy at the prospect of winning, because she was up several pieces. She was already gloating that she was ahead and might actually win this time. Three moves later she was in check, and six moves later, checkmate. I then explained to her that I wanted her to take my pieces. She was amazed that I would want to lose pieces. I told her that sometimes you make sacrifices in order to get your opponent into a position where they become vulnerable, and to do that you have to make it look like you made a mistake, were careless, or just didn’t know what you’re doing. Several weeks ago I wrote about (click here) how Vladimir Putin was playing poker with the Ukraine. By the way, he still is. ISIS, though, is playing chess. That is the only conclusion I can come to. Why else would they taunt the United States by beheading journalists in such a public way. They want us to attack. It is a trap. I don’t know what their reasoning is, but I am quite certain that we are falling right into their hands.